I've been following the progress of death squads for quite a while, and decided it was time to join the forum. We love the thorough job you guys are doing! My group and I have been playing wargames since the mid eighties, and 40K since the launch of rogue trader. We laid off for quite a few years, and normally play board games and RPG's on our group nights. What lured us back in was busting out the old space crusade rules, realising we wanted more complexity, and moving up to Advanced space crusade (which is a lovely skirmish rule set). We've added Tyranids and necrons to Advanced space crusade, and taken it off the boards, and on to terrain and table, but again we are hitting it's limitations. We wanted to play a game like the tv program 'sharpe' (or Ibrahim Gaunt if you like!) with one 'player character' and a small retinue, all capable of gaining experience and equipment, in a semi RPG environment. The only reason we have not yet switched over to Death Squads is the lack of Astartes and Xenos, I hope they will come soon! Welcome. Hopefully you find what you are looking for here. 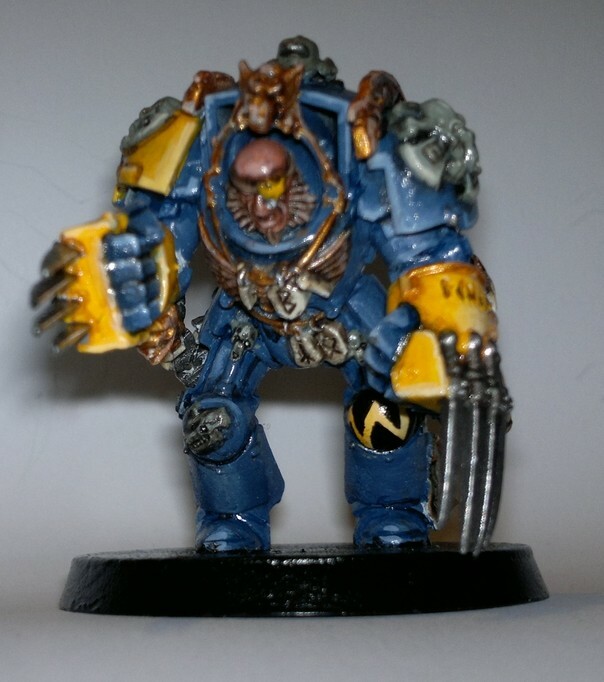 Do you have any pictures of your models? Like Narcissus said: pics please? I've taken some pics of some of our models. I'm no great shakes as a painter or photographer I'm afraid! But I do enjoy painting my mini's, it's so therapeutic. They are all works in progress, I tend to get them to game ready state, varnish them for play, and work into them later. 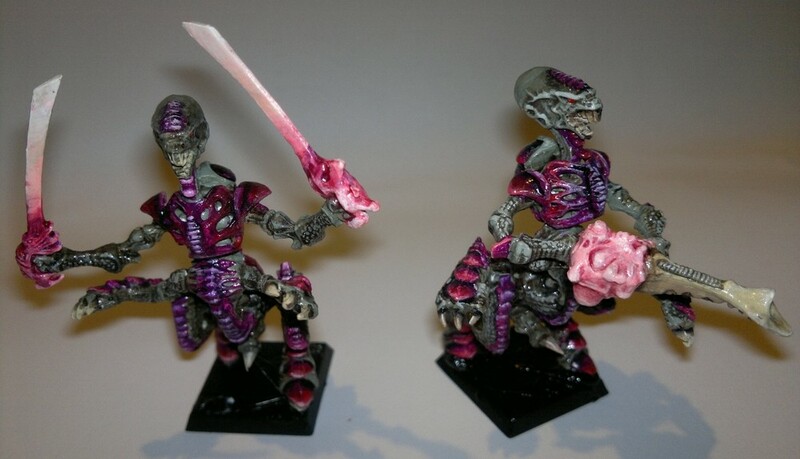 I have gone off on a tangent though, and been seduced into painting super dungeon explore miniatures. So many mini's...so little time! As a side note, some of my figures are painted in 'dipping paint' otherwise I would never get many done, I try to paint detail heavy figures properly though. Thanks for the pics! Always nice to see some pics from a hobby fellow. Nothing wrong with dipping, I'd only try to dullcoat them a bit with some Testors or so. I think they'll look much better then. I've done some dipping experiments in the past and my experience was that after "dulling" them the end result was much more satisfying. 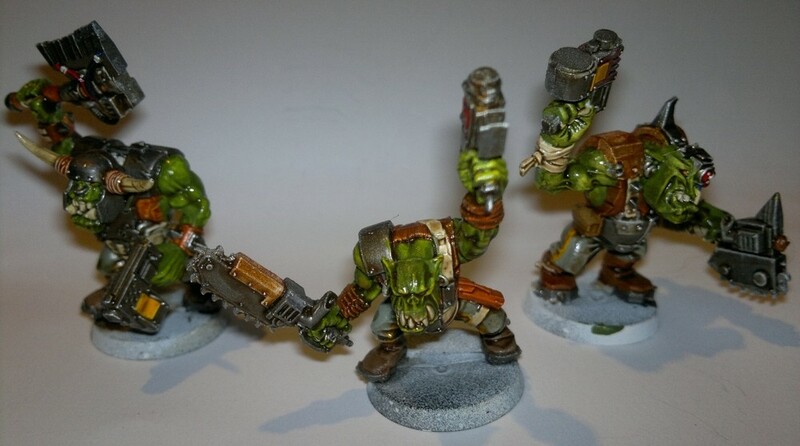 Your orks are my favorites btw! 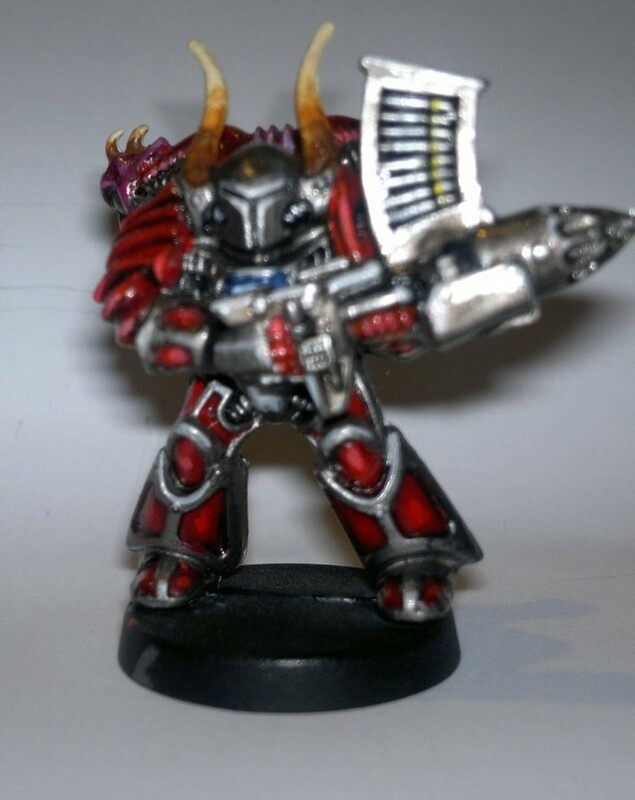 Some wonderfully old school minis there - the chaos marine with missile launcher has to be my favourite! A matt coat (something like purity seal or humbrol matt spray) would really help to bring out the detail. I'm going to matte varnish them at a later date, sadly army painter dip gives a gloss finish (my guess is it is some sort of re-branded household wood stain). On the up side, it means they are game ready before they are finished. I've recruited 3 new recruits to the hobby recently, my two oldest nephews, and a member of our gaming group who had never war gamed/role-played before.